It's a fact that high carbohydrate diets increase your appetite and girth, whereas low carbohydrate diets promote easy weight loss. But is eating a very low carbohydrate diet feasible? Unfortunately, the answer is No! 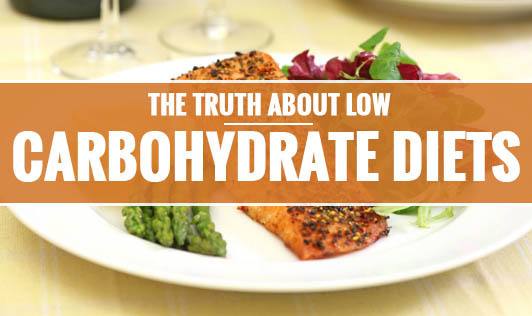 Following an extremely low carbohydrate diet is not only dangerous but also boring. Here are a few things that can go wrong with very low carbohydrate diets. • In the absence of glucose, the body starts using protein for energy and as a result, it is no longer available for its vital functions like creating new cells, tissues, hormones, enzymes and antibodies. • When glucose is unavailable for energy, the body cannot burn the fat the right way. Usually, carbohydrates are combined with fat to be used as energy. In the absence of carbohydrates, fat is broken down to produce ketones in the body. These ketones accumulate in the blood and cause ketosis. Ketosis is an abnormal state and is seen to cause several issues like loss of appetite, nausea, dizziness, headache, fatigue, constipation, bad breath and dehydration. • Low carbohydrate diets reduce your exercise and fitness performance. Don't be stunned if your energy levels are so low that you fail to complete your normal workout routine. • When you severely limit carbohydrates in your diet, your protein and fat intake increases. This has several long term effects on health. - The risk of cancer increases when whole grain cereals, fruits, vegetables and pulses are eliminated from the diet. - Purine rich high protein foods have a tendency to increase your blood uric acid levels and causes gout. - A high protein, low carbohydrate diet is known to cause kidney stones. - A low carbohydrate diet, rich in protein, cholesterol and saturated fat increases your risk to cardiovascular disease. With so many dangers associated with low carbohydrate diets, the best thing to do is to follow a carbohydrate controlled diet plan that is rich in fiber and enhance your health by losing weight the healthy way.